A judge has denied a Massachusetts State Police trooper's motion to dismiss charges accusing him of beating a suspect in New Hampshire last year. The Telegraph of Nashua reports Judge Charles Temple filed his ruling late last week in the case of 33-year-old Joseph Flynn, who pleaded not guilty to simple assault charges for his role in the arrest of Richard Simone Jr. Prosecutors allege Flynn punched Simone as he was kneeling to surrender following a chase. Flynn's lawyer said his client's use of force was justified to prevent Simone from fleeing. The chase began in Holden, Massachusetts, after Simone refused to stop. He faced multiple arrest warrants. 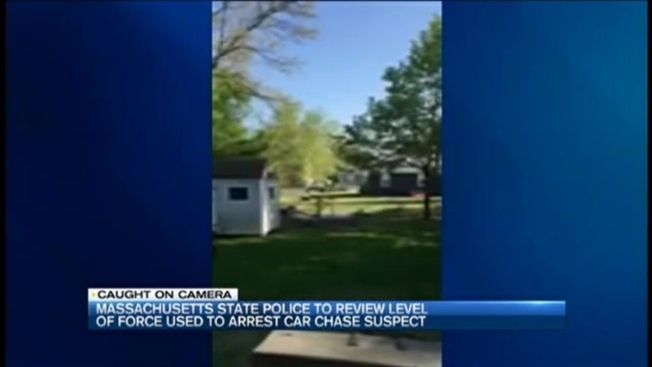 A New Hampshire trooper pleaded guilty to simple assault charges in the case. Jury selection for Flynn's trial is scheduled for Oct. 2.